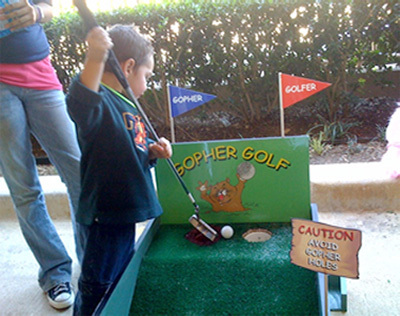 Everyone loves putt putt golf. And this one hole carnival game is a fun one. Take aim and hit the golf ball. Try to have it land in the hole or on the top tier. With lots of practice and you can become a master. Size: Height: 2ft. Width: 2ft. Depth: 8ft.